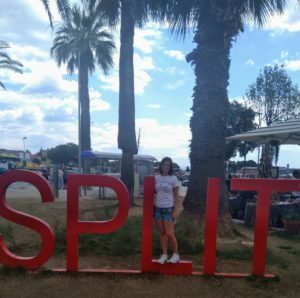 Our student of the programme Business in Contemporary Society Sabina Močnik carried out an Erasmus+ study exchange at the Faculty of Economics at University of Split (Sveučilište u Splitu). From February to June 2018 she pursued selected courses of the Spring Semester of the selected faculty. 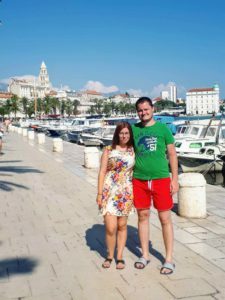 She shared her experience with us: “So what are you going to do in Croatia, you can go there every summer. You will not improve English at all, but you already know Croatian! “I met with such and similar statements before I set off for the Erasmus+ study exchange at University of Split. Now I can say that this was one of the better decisions in my life. I met people of different nationalities, from Italians, Poles, Germans, Frenchmen and Turks, and even South Africans. In this period, you really find out who you are and what you want in life, learn new words in a foreign language, and improve those you already know. You become a more independent and patient person. Anyone who is at least thinking about whether to go for an exchange, I can only say: go! Such decisions are never regretful.